The energy sector continuously changing, and now many different alternative ways to use energy such as prosumers and energy efficiency are being used . This means that electric utilities can no longer depend on customers using more and more power every year. So, how can they survive? We always point out that we can find many different solutions for a problem and what makes the difference is finding the best possible one. The same thing happens here, we can immediately think of different solutions such as raising rates or Internet of Things, which is evolving really fast and is a big trend that we have been already commented on in our blog. Having more affordable smart meters and sensors has lead to the birth of a new concept: Smart Grid. 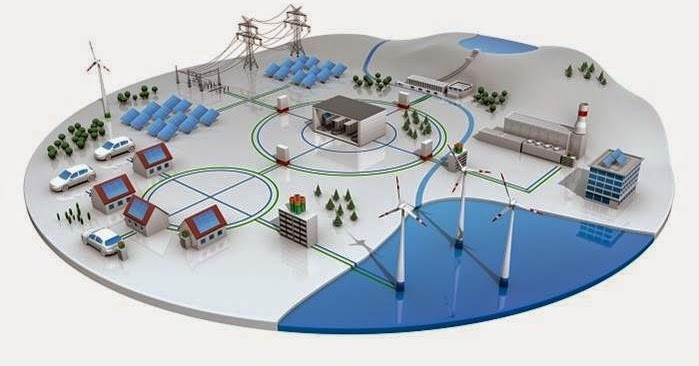 Smart grid is an energy generation, transmission and distribution network enhanced by digital control, monitoring and telecommunications capabilities that allows the flow of not only electrical power but also a huge amount of useful information. Using this, utilities can manage to reduce their costs and they can have more information about consumption patterns. They also allow the increase of renewable capacity assuring security of supply and enhancing customer engagement. In other words, they will be able to use information to propose saving methods and launch new services in order to compensate the business loss due to a lower demand. Beach Cities MicroGrid: In San Diego (CA, USA) they have created a microgrid that resembles their current grit but in a lower scale, what allows them to isolate it from the system and reconnect it later. Nordic smart grid: Microsoft, together with Powel AS and the Norwegian power utility Agder Energi are planning to build a smart grid to cope with the challenge of peak demand during cold periods in certain Nordic regions. Streetlight technology: Las Vegas together with the start-up EnGoPLANET have just launched a new technology that brightens sidewalks with a combination of sunlight and footsteps, which can create between 4 and 8 W per step. Sustainable mobility for smart cities: GE Energy Connections together with the start-up CLEM have just reached an agreement to work together in electric vehicle and charging stations management platforms. This will help to monitor and manage the energy systems in a certain area in order to improve it and make it more efficient. Governments are also conscious of this topic and they are funding many different projects. For example, Italy, France and Spain are investing a lot to deploy smart meters in order to integrate distributed generation in the system. What’s more, other countries such as Japan, South Korea, Thailand and Australia are funding projects to build commercial-scale smart grids. After seeing all this, we know that benefits are limitless. We can realise that after gathering data about every aspect of the electricity supply chain, system operators can use powerful analytics, simulation models and what-if scenarios to create more precise predictions. This will help utilities to survive in a market that is no longer increasing at a big rate. 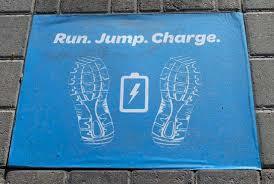 Can you come up with the next step that will end up in the future smartgrids? Are you an innovative engineer who is eager to solve new challenges? Join us and go for it!